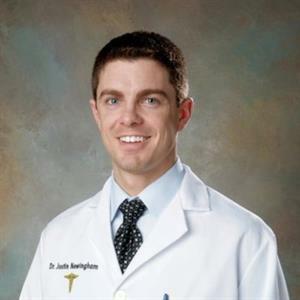 BIRMINGHAM, MI--(Marketwired - July 29, 2015) - Dr. Justin C. Newingham, a Birmingham dentist skilled with cosmetic dentistry, is now offering Invisalign clear aligners as an alternative to traditional metal braces. Dr. Newingham, owner of Newingham Dental Center, is pleased to be able to offer this innovative orthodontic treatment to his patients. The results are compelling and can happen in as few as six months. Dr. Newingham’s patients appreciate the inconspicuous clear plastic aligners worn throughout the treatment period. Invisalign clear aligners allow patients to receive the benefits of orthodontic care without having to wear metal brackets and wires for months at a time. The Invisalign solution is clear, which makes treatment even more appealing for most adults. The clear, plastic aligners fit closely against your teeth to create the invisible effect. Approximately 25% of adults could benefit from orthodontic treatment, but many adults avoid getting the treatment they need because of the traditional orthodontic method using metal brackets and wires. Invisalign provides a better option for these patients. Newingham Dental Center, 2425 E. Lincoln St., Suite 110, is a comprehensive cosmetic dental office in Birmingham, Mich., that offers a multitude of dental services. The practice provides durable porcelain veneers, crowns, bridges, dentures, tooth-colored fillings, extractions, TMJ treatment, Invisalign and dental implant restorations. Dental implants have become a popular option for patients missing individual teeth or entire arches of teeth. Newingham Dental Center restores individual implants with long-lasting crowns and can even use the dental implants to support dentures. Dr. Newingham also uses CEREC technology to prepare and place crowns in one day. Dr. Newingham has been in practice since 2005 and has owned Newingham Dental Center since 2008. He completed his undergraduate studies at Albion College and then earned his dental degree from the University of Michigan School of Dentistry. After graduating from dental school, Dr. Newingham completed courses at Kois Center and Spear Education and now serves as a mentor for those prestigious dental institutions. Dr. Newingham received the Top Ten Young Alumni Award from Albion College in 2011; earned the Top Dentist Award from the Detroit publication Hour Magazine in 2008; and received the Mom-Approved Best Doc Award from the publication Metro Parent in 2011 and 2014. To find out more about Birmingham Invisalign, visit Dr. Newingham’s website at www.drnewingham.com or call his office at 248-972-8720.